When was the last time you kept your phone away for a whole day? It’s hard to remember right? Our smartphones have invaded the private spaces and is still crawling its way deeper into our biological systems. Technology is evolving to be a part of human beings. The era in which people being cyborgs is not far away! The internet is streaming with data packets running at light speed to make the desired info available at your fingertips. Do you know that there are over 1.94 billion websites on the internet? Also, 441 million Tumblr blogs and 4 million blog posts are being published every single day. It’s high time to push your business from the age-old digital marketing techniques to the highly technical and sophisticated online trends. Mobile app development is the best way to widen your business opportunities in the contemporary world. To bolster this, it was reported that mobile sales have been increased about 58% when compared with the previous year. Every successful app is evolved from a unique idea to make the lives of users hassle-free. 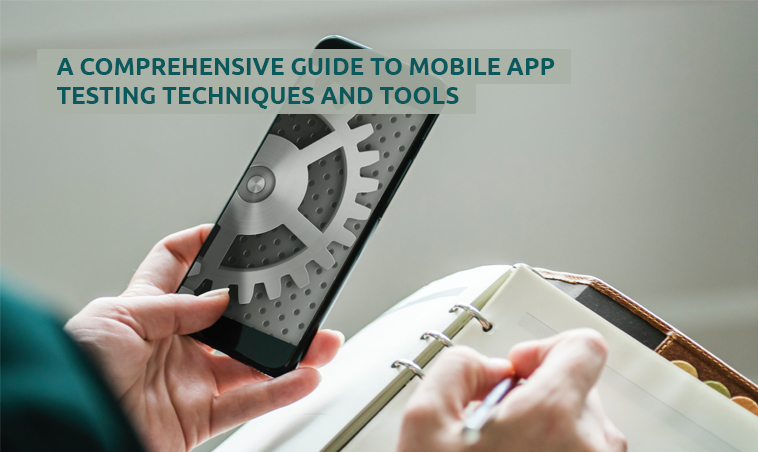 Reading this blog will arm you with the insights for the best mobile app for your business. So keep reading to step into the future! If you have unique and new app ideas or technology, e.g., longer enduring batteries that can be delivered instantly, you ought to get a patent. Else, everything comes down to execution. Many people claim to have invented Facebook, yet none of them designed an engine of growth, deals with the investors worth billions of funding, and pitched and persuaded hundreds of unknown people to invest in their startup. Having an idea is not enough, developing and deploying it to the utmost perfection is important. 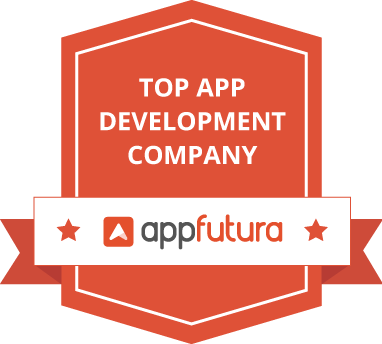 Approaching a pro in the field of mobile app development will get your app done better. Indeed, a majority of the successful startups weren’t a new idea but a modification of existing technology. So why did Yahoo, Nokia, and others failed to their competitors and were late to launch? Everything comes down to the distinction between innovation and invention. People often see innovation to be an equivalent to the invention. A veteran once said that the initial step to characterize innovation is to isolate it from "new" and "invention" – where in reality inventing "something new" is the least important part of innovation. Simply put, innovation is when an invention meets the market need. Everybody has a million dollar idea with business potential (if executed expertly). However, there are only a small fraction of people who are eager and ready to put the effort, risk and execute it. These are the people who are the so-called ‘successful’ ones. These individuals actually prefer to work on their mobile app ideas, and this is because their ideas are generally associated with their domain expertise, experience, and passion. They are harmless and are exceptionally valuable in providing positive feedback. Once you think you are ready to execute the idea, seek advice from the right people unless you want to end up like the McDonald brothers. Do thorough research and grab as much as the knowledge you can on the topic. Every other person you converse with ought to be your potential customer. Want to initiate an iOS app development? Talk with the target users ASAP. They won't disclose to you what to build; however, they will let you know if you are solving the right need. To make the world simple and quick, to satisfy the over demanding clients, and to finally disrupt the technology space, here are some of the essential mobile app development ideas of 2019 that will change the tech world. IoT or Internet of Things is the new wave hitting the digital marketing sector. The extensive use of sensors and remote connectivity of technologies have made it a source of curiosity. The IoT offers immense potential through IoT devices. Connecting your techs - cars, homes, gadgets, etc. - together and controlling them from a single operating point is how IoT works. Yeah, and a lot more. IoT will take the human world to a whole new dimension in the next decade if utilized wisely. The on-demand apps have the lion share of the market since the only thing you require is just a phone by your side. The wave of on-demand applications has revolutionized the service sector, providing individuals with quick and simple access to products and service that used to be restricted, luxury or hard to get. These days you don't need to get up off the couch to get a food delivery, a body massage or a cab. As per a survey from Harvard Business Review, the on-demand economy is so mesmerizing that the data show an increase of about 22.4 million users every year. Moreover, PWC estimates that the on-demand economy will acquire a market share of US$335 billion by 2025. So 2019 maybe even brighter and would bring the on-demand industry closer to the expected revenue. Pokémon Go gave us the first touch of Augmented Reality(AR)which has the potential to change any industry. 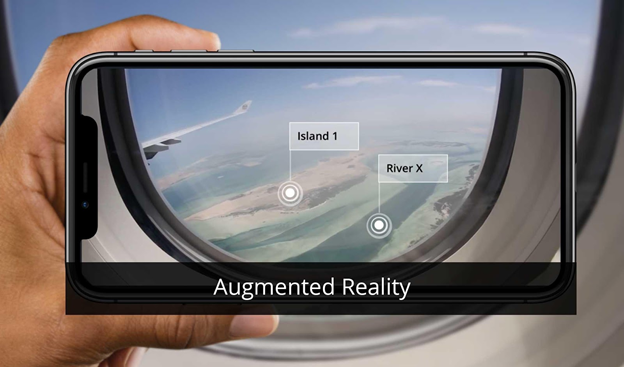 Augmented Reality is still incomparable when it comes to AR Mobile App Development and is expected to grow up to $170 billion by 2021. The opportunities and possibilities of AR are not explored to its full yet. Augmented Reality entered pretty much every niche of our life by enhancing the overall user experience. If implemented with a perfect plan any industry could leverage AR apps to solidify their business, however, it is used more often in the gaming sector. In budding days, VR experience was only possible through advanced headsets, but currently, there are a variety of options for transforming your smartphone into an engaging device. You don't need to splash hundreds of pounds on headsets. You can enjoy a great VR experience using your smartphone and some brilliant apps. Most VR development is in service of vivid and unique gaming experience that isn't conceivable through any other medium. The most energizing thing about VR is that we're still scratching the surface and finding better methods to teach and engage users. When it is that time of the year, you can feel the heat building around. Struggling to get the documents right and look legit. Developing an app that will calculate your tax based on your income and makes sure that you pay it in time will be the best bet for any individual as well as business. Assuaging the tension will help you concentrate on things which demand your attention. Generating invoices can be an added feature for your app. This app will make the billing process easy and duly documented. 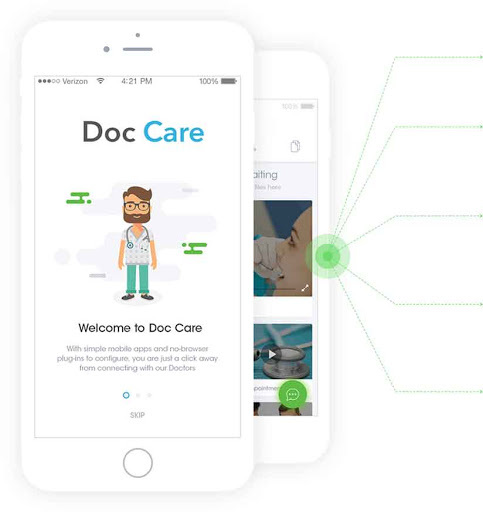 Telemedicine is a digital model of offering clinical healthcare to someone in a remote area by using telecommunication and information technology. In earlier days, telemedicine was restrained for treating patients located in remote regions without medical facilities, or in areas lacking medical experts. But, today patients don’t want to waste time in clinics and hopes for quick consideration for medical conditions. The introduction of mobile technologies speaks to a significant change in the manner in which people relate with healthcare. For example, 52% of mobile users use their device to search for health-related data. A survey conducted by Mordor Intelligence assumes that the telemedicine industry would worth about $66 billion by 2021. Gartner predicts that by 2020, AI will be one among top investment priority in for more than 30 percent of CIOs. AI is indeed going to be a driving force. It surprises us by its embedded intelligence which facilitates a human level ‘thinking’. PDAs such as Siri and Google Assistant is present world examples of AI applications. The introduction of AI-powered robot Sophia has been the talk of the digital world recently. Definitely a forward leap in the application of the AI tech. What does a Chatbot or AI do for your business? They are the future of every communication. Chatbots will manage and help to maintain your day to day activities. The first and the most critical advantage of Chatbot is that the user interaction will be all the more captivating and lively. The Chatbot won't get exhausted of your queries and also gets more acquainted on the taste of the user and inclinations. As per reports, today more than 30% of the ecommerce companies have integrated Chatbot in their websites. Who doesn’t like a bot that is never tired of your questions but rather happy to answer you anytime? Texting apps offer every bit of the highlights similar to popular IM applications like WhatsApp, Skype, and Messenger. Since the extreme growth of the mobile apps market and hike in the number of smartphones, low-cost or free instant messaging apps have become a cheap alternative to messaging via SMS or MMS. Mostly all messenger apps offer a wide range of opportunities for users, such as group chats, photos exchange as well as stickers, video and audio sharing. Take motivation from existing messaging apps and consider making a mixture of every one of those, because Social Networking and Messaging are the New Black. The Blockchain is not an unfamiliar word for individuals due to the online presence of bitcoin and cryptocurrency. 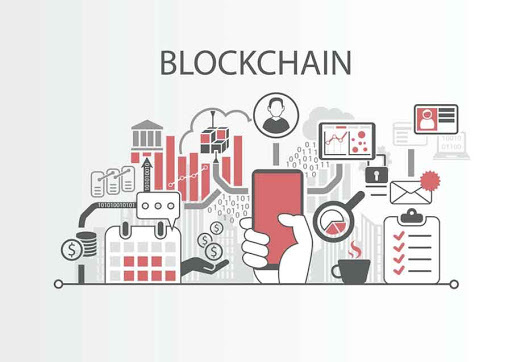 The Blockchain has turned out to be a key amongst the most widely used phrase in the payment industry, and other sectors as well. Some researchers even believe that Blockchain technology, in the long run, could overthrow the Internet. 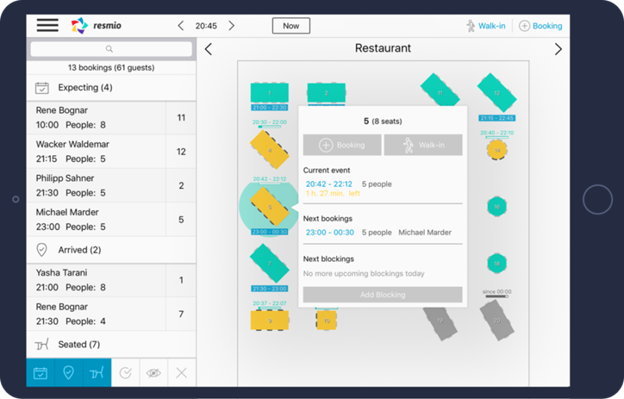 A reservation system for restaurants with a graphical layout for the users to see the available tables. Such systems make it a lot easier to schedule reservations via a website or app. With this GRRS, all the data such as updates and notification are merged into a single system making it easier for restaurants to coordinate and function. Moreover, the GRRS can also provide the customers with the latest offers helping the establishment to take reservation and handle the traffic to the restaurant. The struggles of planning trips are eased off with the custom itinerary apps. Developing an app that can be personalized to track your route and suggest suitable facilities on your trip will be a massive help. Adding features like budget and mode of transportation to the app will make it precise and user-friendly. People adore things which makes their lives easier. So this idea will be best if implemented efficiently. 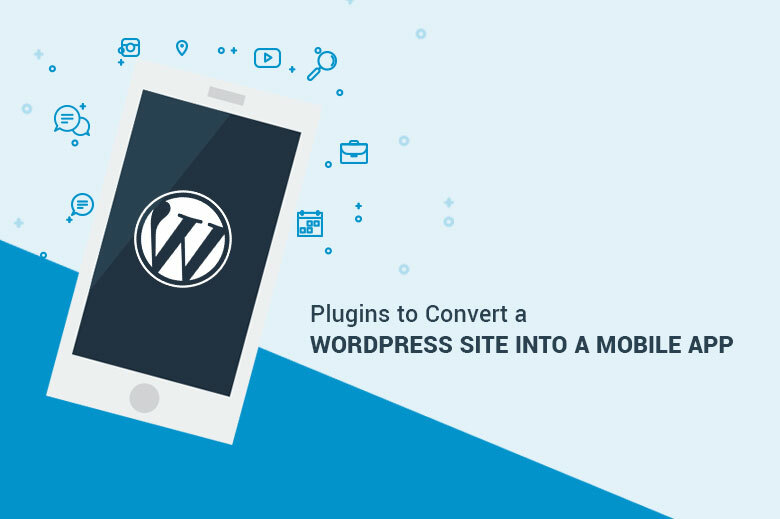 We hope that our blog on Mobile App Ideas Yet to Explore 2019 proves useful to you. Please feel free to share your reviews in the comments section below. Mindster is a leading mobile app development company focused on developing innovative On-demand solutions such as taxi dispatch software, grocery delivery app, e-commerce solutions etc... connect with our sales team to avail lucrative offers and eventually grow in your business.